Bread pudding has long been a favorite comfort food, and it's a fantastic way to use day-old bread. This bread pudding recipe tastes like a classic egg custard with dense, satisfying bread pudding texture. Add some raisins to the mixture if you'd like, or make it with currants or another kind of chopped dried fruit. Feel free to change it up a bit with cinnamon instead of nutmeg. Cinnamon-swirl bread (with or without raisins) is another excellent option for the bread. For a tempting dessert sauce, consider this vanilla sauce, this butterscotch sauce, or a brown sugar pecan sauce. Or simply drizzle some maple syrup or cane syrup over the pudding. Whisk together the eggs, sugar, salt and vanilla, then add the warm milk. Cut bread in half diagonally, forming triangles. Arrange 2 layers of bread slices in a lightly buttered 8-inch square baking dish. Pour the custard mixture over the bread. Place the 8-inch baking dish in a larger baking dish containing about 1/2 to 1 inch of very hot water. Bake at 325 F for 40 to 50 minutes, until a knife inserted in the center comes out clean. Serve warm or cool with dessert sauce, syrup, or fruit. 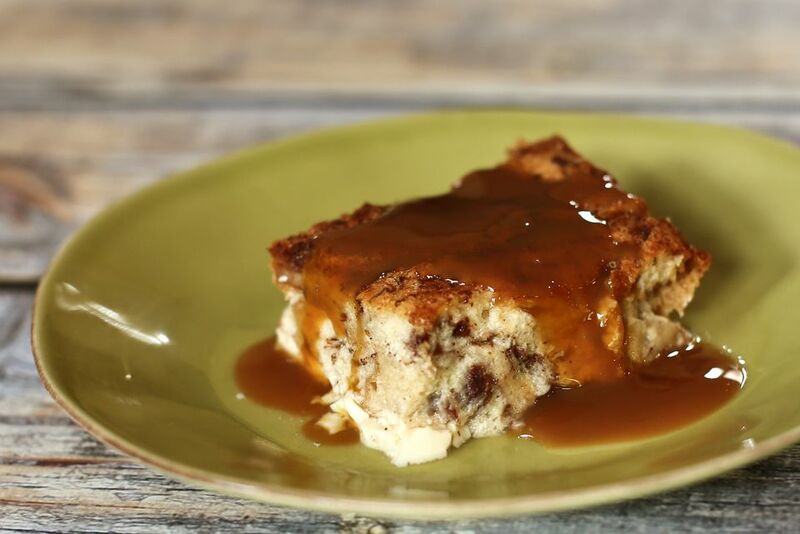 Cinnamon Custard Bread Pudding Variation: Use cinnamon swirl bread and omit the nutmeg. Sprinkle the custard mixture with cinnamon sugar just before baking.